Busy with various projects, including designing a digital history lab. But I did attend the Joe Guilmartin memorial conference earlier this semester, where the attendees alternated between laughing at our collective recitation of Guilmartin’s many bons mots, and growing contemplative (and perhaps wiping away a stray tear or two) as his former advisees testified to his impact on their academic careers. 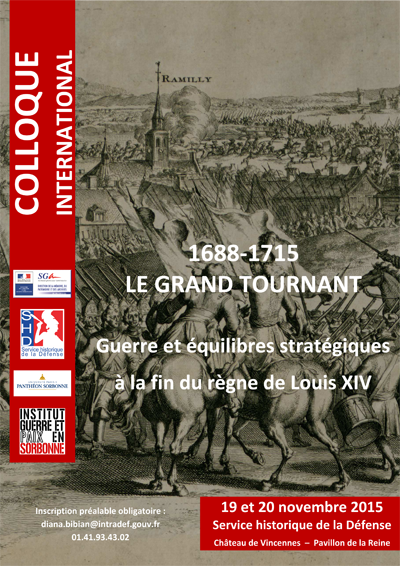 My contribution to the proceedings was to open up the conference with a broad think-piece about developing a more precise taxonomy/typology of the levels of war, spurred by JFG’s introduction to the subject long long ago. A few examples of the course materials he handed out in his seminal European Warfare course. 1st page of JFG syllabus, circa 1993 – note the early use of visuals. So here’s the revised “strategy” matrix. There are plans for conference proceedings, wherein I’ll explicate the below chart (and much more), and add a few more levels. So feel free to leave suggestions or comments. especially about those pesky column labels. What the operational level entails, and looks like on a map, particularly in contrast with a tactical-level map. How an army has multiple strategies available to it in order to achieve its strategic objectives. There are others I could have included if I’d had time (esp. amphibious). Will the reds and blues ever just learn to get along? Of course as we get further into the 18C and start talking about Napoleon et al, we’ll complicate it with the “operational art”: multiple armies, marching by different routes, etc. And let’s not forget that whole DIMEFIL thing, courtesy of the DoD. Feel free to use (because you know you want to), with proper attribution, of course. For those who’ll be in Paris in a few weeks, and are interested in the great turning. The list of presentations is here. 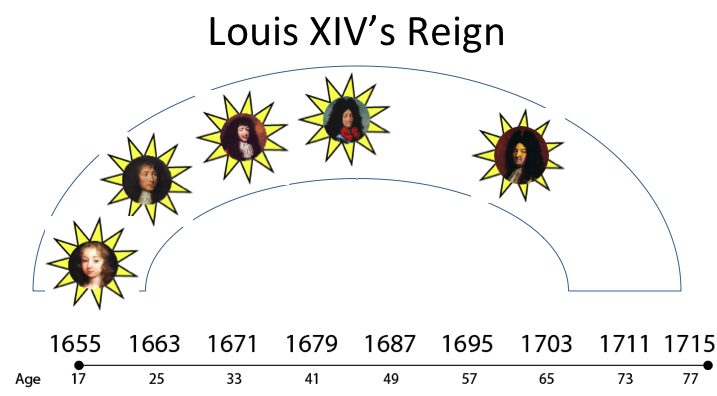 Don’t worry, my talk will be in English, and it will actually be on the French side of things – “Did Louis XIV Love Battles Too Much?” Provocative, I know. So now I guess I need to write the paper, huh? Is the enemy of my enemy’s strategy really my strategy? Finally getting through some of my backlog posts. But once I start to analyze this logic, my head hurts. It seems like there are a number of rather questionable assumptions underneath this conventional wisdom, or, at least, complications that make me wonder about its utility as a heuristic. “Forcing an enemy to fight a battle they don’t want” and “Avoid fighting a battle your enemy is trying to force upon you” seem like reasonable advice on the surface, though perhaps the second is more reasonable than the first. Although one of the key assumptions seems to be that victory goes to the one prepared for battle, i.e. it assumes the enemy doesn’t want to fight because he’s not ready for it and will therefore lose. This fits the prudential argument that preparation and discipline are key, but seems to be undermined by the corresponding prudential point that battles are inherently risky and chance plays a key role, regardless of how well prepared you are. If the outcome of a battle is decided by chance or fortuna or the Wheel of Fate or God or whatever, what does your intention and preparation have to do with anything? (I don’t recall seeing the old “God helps those who help themselves” quoted in this context, but I know Eugene of Savoy mentioned it at least once.) Or maybe the military sages don’t really believe the “battle is dictated by fate” line after all? Maybe that’s more of a platitude than practical advice. This advice leaves me confused on another level (but, then again, what doesn’t). Another major assumption is that a strategic zero-sum game is in effect – most clearly stated by the Prussian Great Captain. But is it usually true that military operations are a zero-sum game, that the two sides are diametrically opposed? Can it be rational for two sides to both pursue the same strategy, to want the same thing, e.g. to fight a field battle? (Especially if we assume that the outcome of battle is a roll of the dice, in which case it wasn’t necessarily a mistake for the losing side to seek battle.) Isn’t it possible that the same event (say, a battle), could actually benefit (and harm) neither side, or end up helping/harming each side equally, i.e. end up being a wash? Haven’t we seen one or two indecisive field battles in history? What if you are wrong about your weaknesses? About your enemy’s? Do people, particularly people in the emotionally-charged, dangerously-competitive and deceptively-secretive atmosphere of wartime, always know what is best for themselves, and what is worst for their enemy? Maybe heuristics for generals should encourage them to question their assumptions, to contemplate their origins, rather simply embrace them? Or does that only promise indecision and paralysis? Should you avoid acquiescing to you enemy’s desire for battle if your enemy is wrong? If he’s adopting a flawed strategy, or relying on flawed intell, etc.? How well do you really know your enemy’s intentions? Should you reassess your strategy based off what your enemy is attempting to do? Only forcing the enemy to do things which they have “no sort of inclination” is an important qualification, but what level of certainty does this require, and how do we achieve that level of certainty in wartime? How does the frequent discussion of stratagems and tricking the enemy relate to knowing what the enemy wants? What if, for example, your enemy is using a stratagem to get you to react? (“Let’s see, I know that he knows that I know…”) If the enemy gives out that they want to fight, should you avoid a battle? How do you even know your enemy really wants to fight, and isn’t just yanking your chain to waste the campaign season? If applied blindly, the heuristic of “avoid what your enemy wants” seems to imply that you should abandon your predefined objectives if they end up telling you to do what the enemy seems to want you to do. How is one to reconcile the contradiction when your predefined strategy coincides with what the enemy wants to do, especially in Frederick’s world of diametrical opposition? Let’s say the mediocre French commander Villeroi is marching towards the Allied army to engage in battle. Does that mean the Allies should avoid the battle because the enemy wants it? (Spoiler alert: they happily accept the French will to fight and thrash them at Ramillies.) So the “judging for yourself” actually seems to be the key and almost too obvious to merit explicit formulation, yet it usually gets buried underneath the doctrinaire “what helps your enemy always hinders you.” Why so strict a formulation? Why bury the lede? Where is the guidance as to how you should measure what helps vs. what hinders? Perhaps a battle victory might help with one problem but hurt you on another level. Oddly, the reasons often given for why you should fight a battle, often revolving around the potential future loss of numerical or moral superiority, seem fleeting, hypothetical and hardly fatal, yet they are portrayed as catastrophic enough to induce one to commit to a field battle. Is this fear of battle? In other words, the thought process here seems so simplistic and confusing that I wonder what utility contemporaries actually derived from such formulaic advice. Did they debate these issues, perhaps prompted by the theoretical manuals? Or am I totally missing the point? Fodder for my battle book. Murray, Williamson and Richard Hart Sinnreich, eds. Successful Strategies: Triumphing in War and Peace from Antiquity to the Present. Cambridge: Cambridge University Press, 2014. Successful Strategies is a fascinating new study of the key factors that have contributed to the development and execution of successful strategies throughout history. With a team of leading historians, Williamson Murray and Richard Hart Sinnreich examine how, and to what effect states, individuals and military organizations have found a solution to complex and seemingly insoluble strategic problems to reach success. Bringing together grand, political and military strategy, the book features thirteen essays which each explores a unique case or aspect of strategy. The focus ranges from individuals such as Themistocles, Bismarck and Roosevelt to organizations and bureaucratic responses. Whether discussing grand strategy in peacetime or that of war or politics, these case studies are unified by their common goal of identifying in each case the key factors that contributed to success as well as providing insights essential to any understanding of the strategic challenges of the future. Befitting a group project initiated by the Department of Defense, 70% of the 13 case study chapters deal with modern military history. Thus my early modern chapter – “Creating the British Way of War: English Strategy in the War of the Spanish Succession” – is bookended by two Ancient examples (Themistocles, and the Roman Empire), one medieval (Edward I and Wales), and Prussia in 1806. Represent! 1. I will likely never publish anything in a book as inexpensive as this, $30 for the paperback. Sneaking an early modern in with a herd of moderns does the trick, I guess. p101: “After a day’s deliberation, Louis accepted the will…” should in fact be after a week’s deliberation. That edit somehow got missed, most likely an error on my part. So if you want my take on the War of the Spanish Succession from England’s grand strategic level, have at it. Following on from part 1, I’m musing on the parallels between sports conventions and the conventions of military commanders. A second article that piqued my interest was a brief interview with University of Alabama head coach Nick Saban, wherein he expressed his disapproval of up-tempo, no-huddle offense, where the offense tries to snap the ball quickly, with little time elapsed between plays. The Oregon Ducks come to mind at the college level, while in the NFL the prototypical current example of this would be Peyton Manning, formerly of the Indianapolis Colts, now of the Denver Broncos. No-huddle has the effect of speeding up the game (getting inside the enemy’s decision cycle? ), and for some reason the defensive players (the linesmen in particular) always seem to come out the worse for wear, panting exhaustedly with their hands on their hips as they try to line up for whatever new-look formation the offense is giving them. In addition, it also makes it difficult for the defensive coaches to substitute players in for the different offensive packages, and to signal plays in to the defense. (In fact, the sight of defensive players sprinting off the field in response to a last minute change in offensive personnel – sometimes literally leaping into the air in order to not be touching the field of play as the ball is snapped – has led the NFL to require that a defense be given enough time to make their own substitutions before the offense can hike the ball, which would otherwise result in a defensive ‘too many men on the field’ penalty). Aside from highlighting the need to train your athletes (or troops) to operate at such a high tempo, what intrigues me about this is Saban’s response. Is this a hide-bound rejection of an innovative strategy? Possibly, but with the #1 ranked Crimson Tide, he’s probably not motivated by sour grapes. What strikes me as much as Saban’s complaint about football not being that kind of game is his concern that such high-paced offenses will lead to increasing injuries for the players. I don’t recall hearing a coach making such a functional argument on the topic – normally you hear about it in idealistic terms as described in my previous post. What think you? Is the conservatism of military institutions driven more by risk-averse brain-dead military minds, or by more fundamental functional concerns that outsiders aren’t always aware of? Honestly, I don’t actually read much sports commentary at all. But in my online perusals of regular news websites, I occasionally find a sports discussion that raises parallels between sports culture and military culture. Thus we have another edition of odd parallels between sports and war. This time it’s not so much about gender, as the reasoning for choosing one strategy over another.